KingStar provides the only truly open machine automation platform that supports plug-n-play, standards and integration features that satisfy Industry 4.0 demands by offering the vital combined and required features of world class machine automation, multi-controller integration, Information sharing to the cloud and intelligence consuming from the cloud, and an analytics IoT edge. All these features are built on a top-10, PC-based RTOS technology that is market proven and uniquely can run 3rd party analytic applications required for IoT. We are sharing our vision for the best practices for machine automation Industry 4.0 by showcasing our software with potential customers. Our customer, Newfangled Solutions who offers a world class CNC solution, will be in our booth demonstrating their recently released Mach4- Version 2 CNC software. Importantly, we are previewing a soon-to-be released plugin for Mach4 CNC that was built with KINGSTAR Machine Automation Software, that features plug-&-play EtherCAT connectivity, and that makes Mach4 CNC compatible with Industry 4.0 initiatives. This KINGSTAR plug in is valuable because Mach4 will no longer require a motion control board to execute with real-time precision and transforms Mach4 into an all-software solution that is easier to install and maintain. We are presenting an innovative approach to transform any machine controller into a smart machine controller for Industry 4.0 and are showcasing a customer’s CNC machine to punctuate the point for how software can replace hardware to enhance smart factories. We are most interested to see the state of Industry 4.0 and IoT adoption across the multiple marketsectors that are represented at the show. 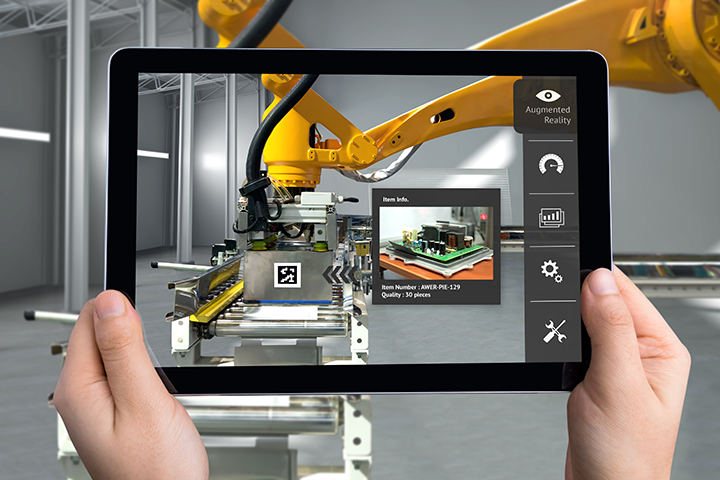 The cornerstone of Industry 4.0 is transforming the proprietary machine controller into a smart machine control platform that can create a smart factory enabled by Industry 4.0. Smart, open software is the only foundation that can support all the features required to build the optimal platform for delivering on Industry 4.0’s promise. KINGSTAR provides a standards-based industrial machine automation software solution for Industry 4.0, as it is the only truly open machine automation platform that supports plug-n-play and integration features. Most manufacturers are adopting Industry 4.0 because they can see that it is changing manufacturing forever in the same way Amazon changed retailing. The key to success is to embrace digitization throughout the entire manufacturing value chain. To achieve this goal, machine builders must rethink their machine control architectures, eliminate hardware-based islands of automation machine control systems, and embrace IPC-based, standards-based machine automation software for Industry 4.0.